I bought this and several other bottles of Burgundy several years ago at a local wine shop. I have been waiting patiently for this 93 point (WS) wine and figured that now I am on Christmas break- it’s time. I opened it last night to go with some spectacular Boeuf Bourguignon I whipped up. Incidentally I used a bottle of Apothic Red to cook with that wound up in my cellar as a gracious gift…. I digress. 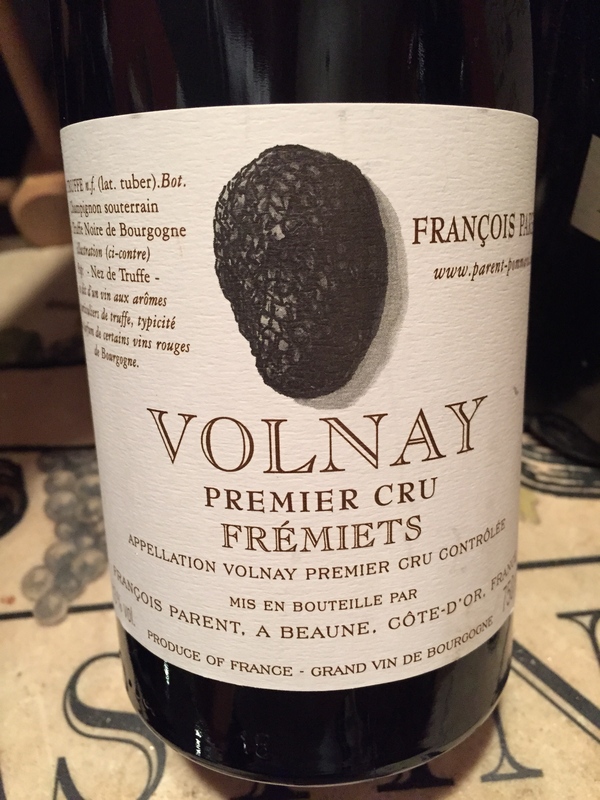 I figured it was time to pop this premier cru wine and was hoping for a monster worthy of it’s $75 price tag. Here is what I got. Darker purple shades in the glass than I was expecting. Somewhat muted nose, I couldn’t quite make out any normal Burgundy or even Pinot hints. On the initial attack there were crunchy sour cherries with cranberries intermingling. I had to take note of the very juicy mouthfeel made up of acidity and a touch of heat. This wine is slightly off balance, perhaps in slumber? No earthiness or funk, kinda boring where my overall impressions although it did mellow somewhat after some air time. I have to disagree with the pro’s, this is at best an 88 point wine, and 2 stars for its price point. Lacking complexity, unbalanced and showing no sign of secondary evolution make this a major pass in my book. Salut….